SANTA FE, N.M. – New Mexico’s newly elected Gov. 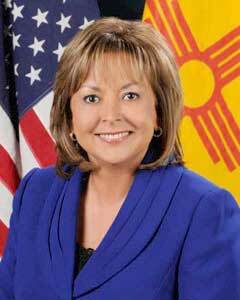 Susana Martinez has come out swinging with a budget proposal that would cut spending and close the budget deficit without raising taxes or making cuts to classroom spending or health care for New Mexico’s most vulnerable. Martinez also stated one of her first priorities is to revoke driver licenses issued to illegal aliens, pointing out since Arizona passed SB 1070, illegal aliens have been pouring in to New Mexico, which does not require proof of citizenship to obtain licenses. Former Gov. Bill Richardson, an open borders advocate, further exacerbated the problem by banning Department of Motor Vehicle (DMV) clerks from asking applicants if they were legally present. New Mexico and a smattering of a few other states, which allow illegal aliens to obtain driver licenses, have become Meccas for human smugglers and those in the fraudulent ID business. Following the passage of Arizona’s SB 1070, New Mexico’s DMV issued 10,257 licenses to foreign born (both legal and illegal) applicants during the first six months of 2010, a 60 percent increase, compared to 13,481 issued during all of 2009 to foreign born applicants. The number of licenses issued to citizens during that same period of time remained flat. Martinez, who also opposes amnesty, stated, “[T]here has to be another way of dealing with the issue … we cannot just have a path to citizenship created when there are people in line already doing the proper things,” and said she is focused on removing provisions that allow illegal aliens to obtain driver licenses and revoking those already issued.